As you will remember, Katie loved netball and was a keen member of Wokingham Netball Club and in 2016 Gordon and I attended the Club’s Annual Mixed Netball Tournament for which KHMT sponsored a trophy. We recently received the following report from Vicky Bowyer, Chair, of the Club on this year’s event together with a very kind donation to KHMT from the Club. “Katie was a very active member of our club, who very sadly was a victim of carbon monoxide poisoning. 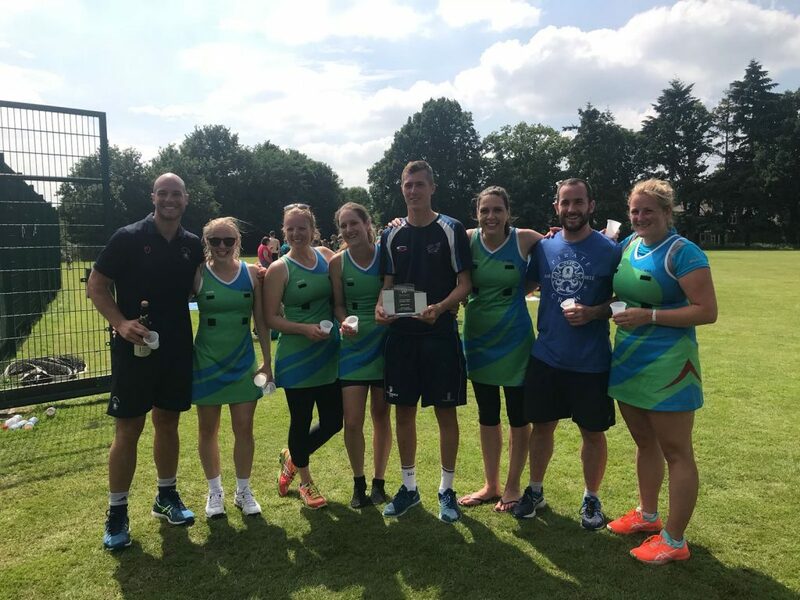 Her parents, in her memory, and because of her love of netball and Wokingham kindly donated a trophy for our annual tournament – one which we know Katie would have loved to have been part of. This year we had 11 teams entered – who all played against each other – so 10 matches each, all hotly contested – lots of inquisitive players coming up to our organising table – trying to see which team was doing better than theirs! Great results – three teams with only one point between them, and one outright winner – CGL Falcons – with the full 50 points! “This year we had 11 teams entered – who all played against each other – so 10 matches each, all hotly contested – lots of inquisitive players coming up to our organising table – trying to see which team was doing better than theirs!